Dubai: Dubai will spend Dh1.5 billion to extend the Business Bay canal by 12.8 kilometres, from the section of Shaikh Zayed Road flanking the Safa Park Interchange to the Arabian Gulf. His Highness Shaikh Mohammad Bin Rashid Al Maktoum, Vice-President and Prime Minister of the UAE and Ruler of Dubai, has endorsed the extension of the Business Bay Canal Project, including required modifications to roads and bridges. Shaikh Mohammad has also directed the Dubai Roads and Transport Authority (RTA) to complete the project within two years. The project will add a fresh urban and tourist landmark to the Dubai’s landscape and is expected to boost Dubai’s bid to host the World Expo 2020. The canal will usher in a host of new business and investment opportunities including the possibility of utilising it to harbour floating hotels, or constructing hotels and restaurants on either side, or launching integrated tourist and recreational facilities in Al Safa Park, besides constructing canal view houses. The width of the extended canal will be between 80 to 100 metres. Major diversions on Shaikh Zayed Road, Al Wasl Road and Jumeirah Road will be in place as the work starts. 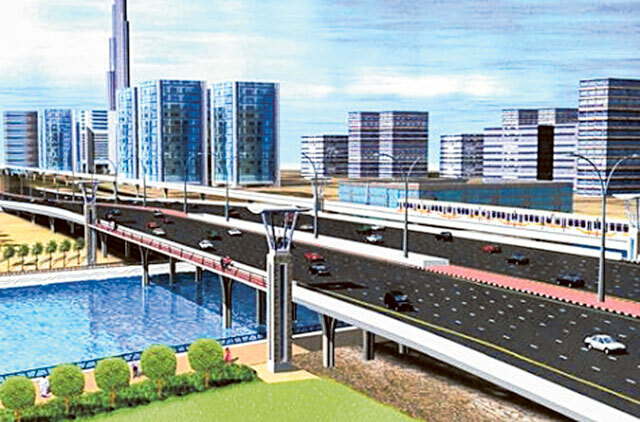 The project will see an 800-metre-long bridge being built on Shaikh Zayed Road with six lanes in each direction. The bridge will be 8.5-metres high to ensure smooth sailing for marine transport. A six-lane bridge with three lanes in each direction will also be built on Al Wasl Road next to Safa Park and another six-lane bridge with three lanes in both directions will be built on Jumeirah Road. The Dubai Creek Canal extension project is also part of Dubai’s ambitious plan to develop marine transport as the waterway will be used by private boats, water taxis and ferries. Some 10 kilometres out of the total 12.8 kilometres envisaged under the creek canal extension work has already been completed under the Business Bay development project. Dubai Creek, which begins at the point of the Arabian Gulf near Al Shindagha in Bur Dubai, currently spans 14 kilometres and culminates at Ras Al Khor Wildlife Sanctuary. Once completed, the final length of the creek will be around 26.8 kilometres, with Bur Dubai becoming an island ringed by the Dubai Creek. The creek has been the lifeline of Dubai since it was built along the creek. The RTA plans to give shape to the canal’s banks employing the soil-cement method, an innovative engineering solution that will add to the aesthetics of the canal and its surroundings. The creek extension will ensure the replenishment of water in the entire Business Bay Canal automatically without the need for pumps. Due to the scale of the project and the need to expedite construction, the project has been divided into three contracts. “The first covers drilling and landscaping works as well as the construction of marine transit stations. The other two contracts relate to road and bridge projects, and the project is set for completion early 2015,” Al Tayer said. The RTA will carry out several improvements on key roads intersecting the canal as well as the surrounding areas such as Jumeirah and Al Safa and Al Wasl. Three pedestrian bridges across the canal will ensure free movement and safety for pedestrians. Footpaths will also be provided on all the new main bridges passing over the canal. Moreover, dedicated tracks for jogging and cycling will be constructed along both sides of the canal. Landscaping plans for both sides of the canal will ensure green spaces, benches, public relaxation areas and other facilities besides tourist-oriented projects.